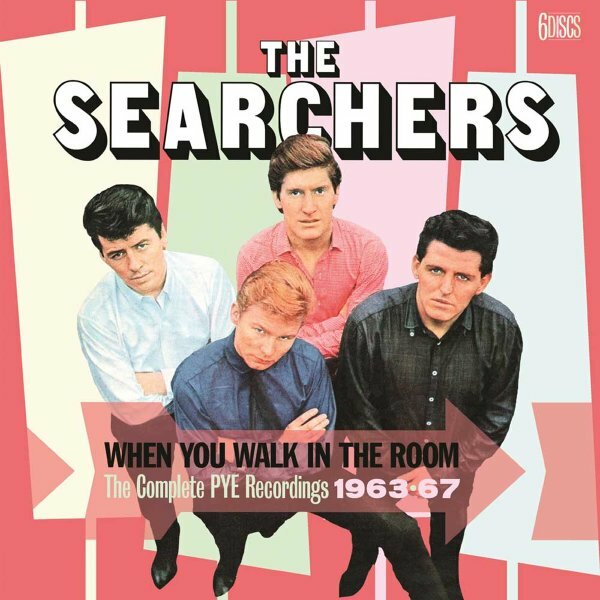 An insane amount of material from The Searchers – served up here in a set that goes way way past their few hits that made it to the radio over here back in the 60s! The group were a key part of the evolving British sound of the time – and had this way of harmonizing together that was definitely in the mode of some of the best Lennon & McCartney material, especially the earliest Beatles albums – but they also have a catchy, jaunty quality that's all their own – maybe the best sort of variation of modes that other groups were breaking bigger with here during the British Invasion years. As with many of their contemporaries, there's certainly an influence from American blues and soul – but their style is also not as mod as some of the rest, and maybe has more of a riffing guitar style with the rhythms that might be more appropriate as an evolution of skiffle. Whatever the case, you'll find plenty to hear here – and plenty to love – as the set features a stunning 160 tracks on 6 CDs – mono and stereo mixes of Meet The Searchers, Sugar & Spice, It's The Searchers, Sounds Like Searchers, and Take Me For What I'm Worth – plus the record Take It Or Leave It, and a lot of bonus tracks from singles too! © 1996-2019, Dusty Groove, Inc.